Bhosale Nagar, in Pune, is one of the most prominent among fast-developing residential hubs in the nation. Pune has always been the attraction of home-enthusiasts, thanks to its convenient location and commercial importance; projects in Bhosale Nagar have increasingly come to the forefront among the choices of real-estate investors. A number of developers are coming up with sophisticated residential complexes in the region. People looking for aristocratic living amenities have the ideal choice to migrate to the apartments. In the last few years, Bhosale Nagar has witnessed a surge in the number of residential complexes. The apartments in Bhosale Nagar come with elegant interiors and a number of facilities within the complex. Most importantly, the location of Bhosale Nagar is one of the key advantages of its booming real-estate industry. It has a good road infrastructure, connecting it to the nearby areas. Railways, too, have been improved in the region. The bus stand in Bhosale Nagar connects it to the key cities, including Nagpur, Mumbai, Aurangabad, Nashik, Panvel, Akola, Kolhapur, Solapur, Kopargaon and other regions. Recent development of other roads and corridors in the region has further bolstered the infrastructure here. Evidently, the prices of property in Bhosale Nagar Pune are increasing, along with the development of infrastructure. People shifting to the apartments in the region will enjoy easy access to the shopping malls, multiplexes, and commercial hubs of the city. Traditionally, Pune has attracted merchants from all over the country. In the last ten years, it has also emerged as one of the IT hubs of the country. Along with these, educational institutes have also come up in great numbers in the recent years. Technical and communicational training centres are providing the right sort of training to the people to get lucrative jobs. Pune also hosts an institute for film production training. In a nutshell, career opportunities are plenty in Pune. People purchasing property in Bhosale Nagar can get access to the commercial destinations through AC buses and state buses run by Maharashtra State Road Transport Corporation (MSRTC). The Shivajinagar Railway Station also provides quick access to the residents to the key areas of the city. Located at a distance of 2 kms from the railway station in Pune, it provides good connectivity to the other areas. 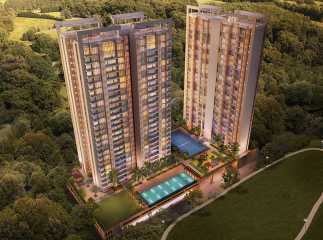 Investors interested in the properties in Bhosale Nagar are already booking the apartments. High-end buyers have a good opportunity in investing in these apartments now. Besides, the interior design and architecture of the flats in Bhosale Nagar are simply mesmerizing. The splendid green views from the wide balconies and large windows will simply blow the mind. Apart from apartments, the homeowners are also interested in the villas in Bhosale Nagar. The residential complexes come with all sorts of luxury-amenities, including gyms, swimming pools, dedicated play areas for kids, meditation halls, and banquet halls. If you are willing to invest in the plots in Bhosale Nagar you can opt for an advance booking. The prices of property are rising and hundreds of people are migrating to Bhosale Nagar. 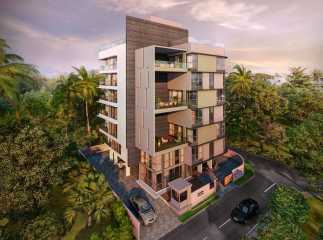 This is the best time to buy an apartment in Pune for yourself.